This is the most popular design and our recommend default design option. Full height means the shutters cover the whole window, they can have a horizontal dividing rail between the louvre blades to match any horizontal features on the window, this splits the louvres in half providing extra privacy becuase you can tilt them independently either side of the rail. A full height design keeps things simple and in general matches most windows. 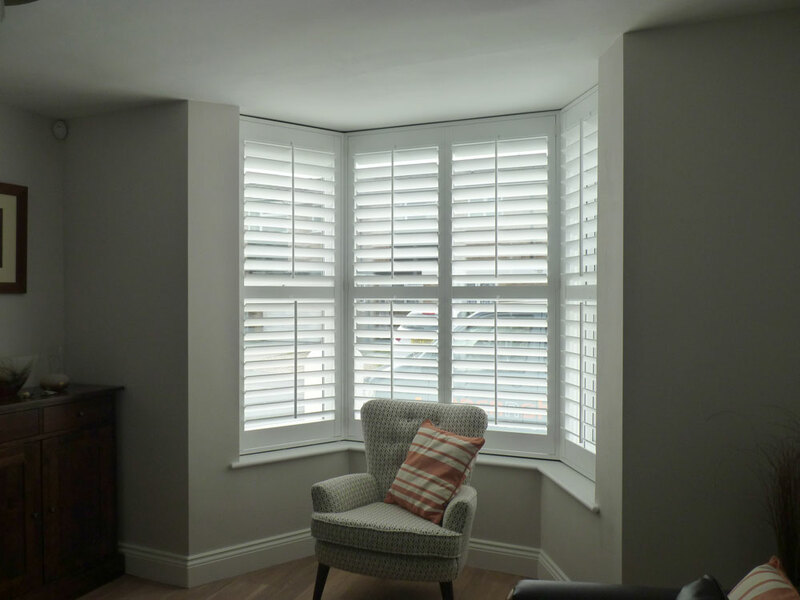 A popular first question, is where or how will my shutters fold back to, however, most customers keep their shutters closed and only tilt the louvres to let the light in and out. That’s one of the reasons a simple full height design is best. 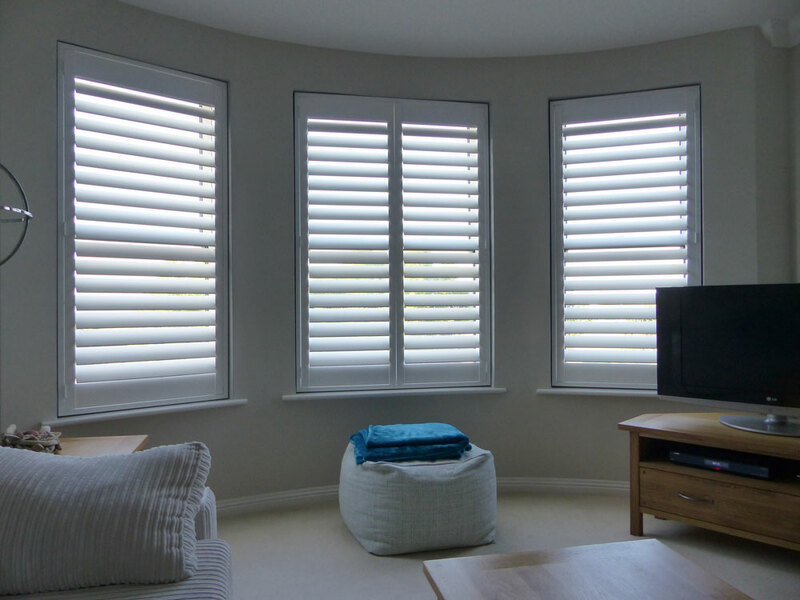 Pick a large louvre and wide panel option and you will get plenty of light coming through your shutters. Half height will look unfinished, and top opening designs rarely get opened, so you end up with a double rail through your window. These are some of the reasons you stick with a full height shutter. Horizontal rails should be positioned so they match features on your windows. The maximum height of full height shutter without a middle rail is 1981mm (wood), 1879mm (MDF) over this height a dividing rail is required for strength, you can choose not to have a rail but it will void the guarantee. 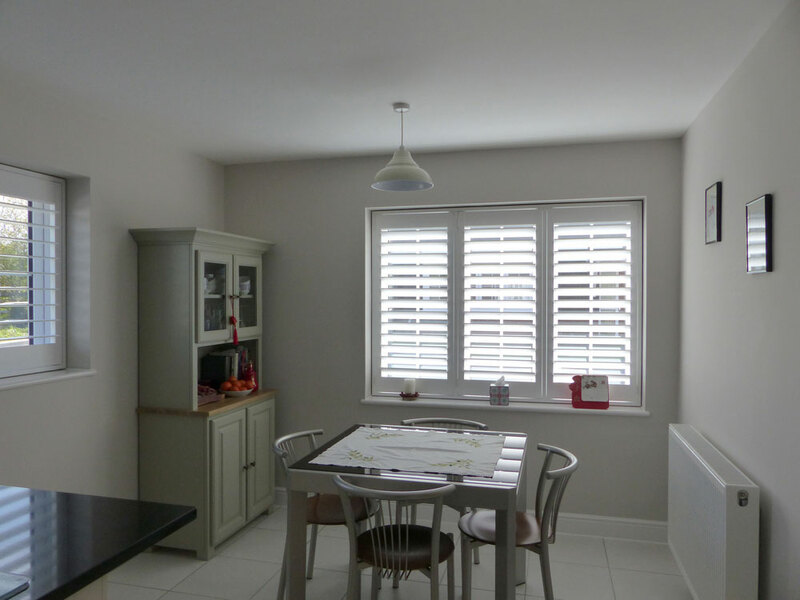 Rails can be fitted in front of window handles or door handles, this means there will be no tilting louvres at this point allowing the shutters to be fitted closer to your window or door.